A judge in Red Deer, Alta., has lifted a publication ban that prevented media from reporting that former Innisfail-Sylvan Lake MLA Don MacIntyre resigned from the UCP caucus and the legislature after being charged with sexual interference and sexual assault. According to Canada's Criminal Code, sexual interference is a charge that applies in the case of a person who touches, directly or indirectly, a part of the body of someone under 16 years of age for a sexual purpose. Justice Glenn Poelman, who overturned the publication ban put in place by a justice of the peace, said it "was an error in law" and would "seriously infringe … freedom of press to report on proceedings of court." "I was shocked and disgusted to learn of the serious criminal charges filed against former MLA Don MacIntyre," it reads. "There are few crimes more vile than sexual crimes against children, and those found guilty of it deserve to endure the most severe legal consequences possible." 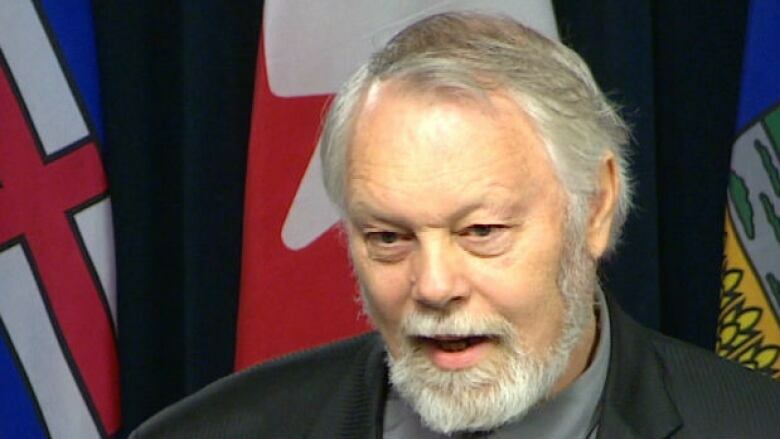 MacIntyre was criticized by the NDP last year after he suggested that science hasn't conclusively proven that climate change is a man-made problem.